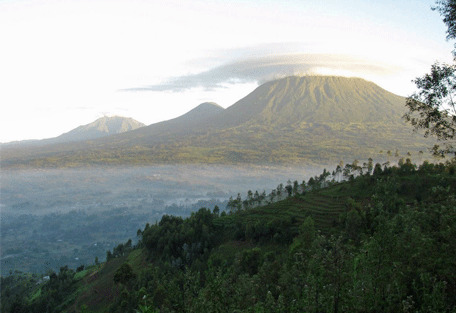 Volcanoes National Park lies in north-western Rwanda and borders Virunga National Park in the Democratic Republic of Congo and is home to 5 of the 8 volcanoes of the Virunga Mountains. The mountainous park is adorned with a variety of forest types, occurring at different altitudes, providing a number of different habitats. 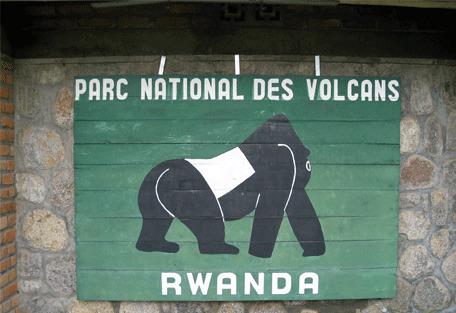 Gorilla safaris are conducted in Volcanoes National Park, after having re-established this unique tourist experience in 1999. There are 300 of these gentle giants residing in the park and 4 habituated families that tolerate the presence of humans in their midst. The gorillas have the freedom to roam far and wide within the park, so the effort involved in tracking them can sometimes involve a substantial amount of hiking and trekking. This, however, is all part of the experience and is an incredible and unique forest and bamboo environment that is an extremely special place to be in. 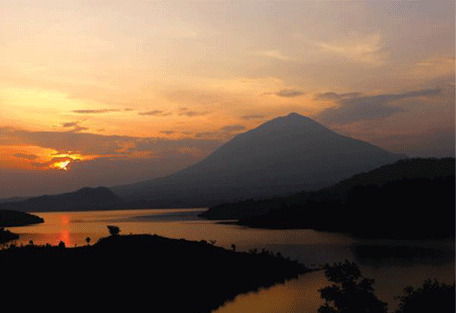 Volcanoes NP was the very first National Park to be created in Africa. It was first gazetted in 1925 intended to protect the gorillas from poachers and is now best known for the mountain gorilla safaris offered only here and in one other country. Volcanoes is known for the famed work by zoologist Dian Fossey, who spent 20 years in the park among the gorillas, conducting valuable research and campaigning for their protection. 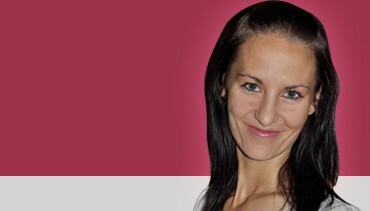 She was tragically killed in the park - a murder suspected to have been committed by poachers. The famed film 'Gorillas in the Mist' was a film based on Fossey and her life in the Volcanoes National Park, and it was filmed in the renowned park itself. 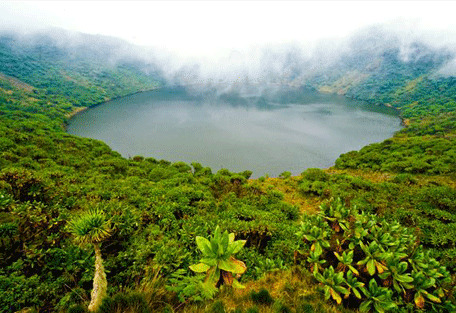 The Volcanoes NP is home to 5 of the 8 volcanoes of the Virunga Mountains, some of which can be hiked to view the dark lakes that have formed in their craters. Situated 1km north of Volcanoes National Park headquarters at Kinigi village, Sabyinyo Silverback is the closest lodge to the forest and is undoubtedly the premium location in the area. 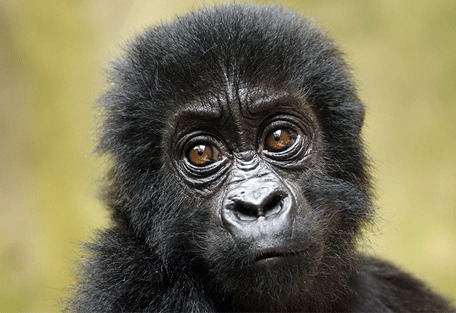 Award-winning property with exceptional offers for gorilla safaris. Virunga Lodge is a lovely eco-friendly lodge set on a stunning hilltop in a spectacular location with a panoramic view of the Virunga volcanoes and lakes Ruhondo and Bulera. 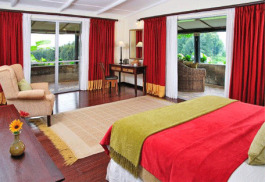 Luxury accommodation situated an hour away from Volcanoes National Park. Gorilla’s Nest Lodge is in the picturesque Musanze district of northern Rwanda, nestled beneath a forest of Eucalyptus trees. This lodge is perfectly situated closely outside the Volcanoes National Park, which is where Rwanda's famous gorilla safaris take place. Adjacent to the Volcanoes National Park lies the Kinigi Guesthouse. While there are several possible places to stay in the area, the Kinigi Guesthouse is the closest to the meeting point for many of the gorillas treks. Volcanoes National Park is most famous for its mountain gorillas, which are comfortably viewed on organised gorilla safaris. 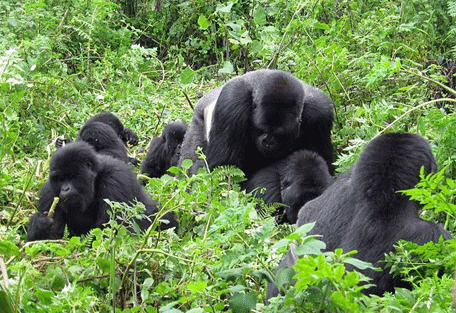 Tracking the gorillas and spending an hour with the habituated families is a unique and fascinating experience. There is also the existence of other intriguing mammals, including the golden monkey, black-fronted duiker, buffalo, spotted hyena and bushbuck. There are also reported to be some elephants in the park, though these are now very rarely seen. Out of the 178 recorded bird species, at least 13 species and 16 subspecies are endemic to the Virunga and Ruwenzori Mountains. 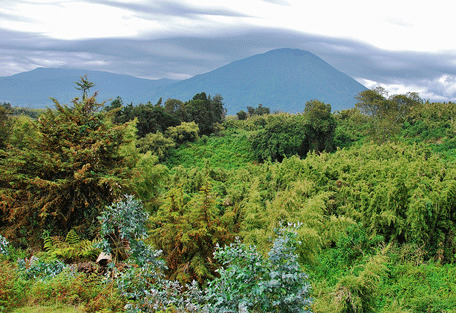 A variety of activities allow visitors to absorb the surroundings and view the stunning terrain that makes the Volcanoes National Park so unique. 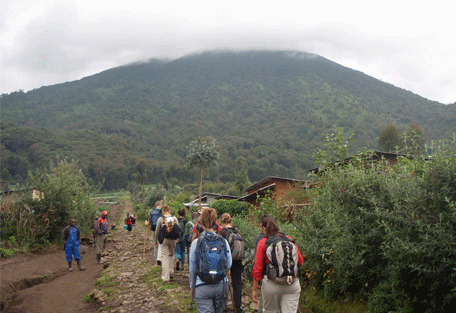 Climbing Karisimbi volcano is a two day trek with overnight camping at an altitude of 3 800m. 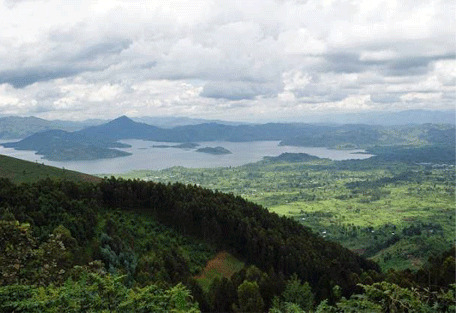 Alternatively guests can do a one-day climb of Bisoke volcano, tour of the lakes and caves, or take part in the baby gorilla naming ceremony. Gorilla's Nest Lodgeis positioned on the foothills of the Virunga volcano range. This beautiful lodge provides breath-taking views of Rwandan hills and the slopes of the Volcanoes National Park. 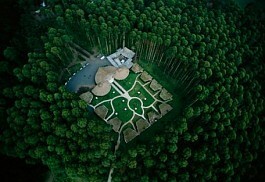 Built in a grove of trees, the rooms are arranged in a large semi-circle around a central courtyard. Sabyinyo Silverback Lodge is Rwanda's premier lodge, located dramatically with breath-taking views of the majestic chain of volcanoes stretching through Rwanda. Kigali International Airport is roughly a 90 minute drive away, making this premier accommodation option ideal for a Rwandan gorilla safari. Virunga Lodge is a lovely eco-friendly lodge set on a stunning hilltop in a spectacular location with a panoramic view of the Virunga volcanoes and lakes Ruhondo and Bulera. It is situated an hour away from Volcanoes National Park.